Have you ever eaten a Marie Callender pie? They are quite delicious! A few years ago, we discovered that some of her frozen pies were acceptable in our dairy-free, egg-free, nut-free home, and we've NEVER looked back since. As we sat down to yet ANOTHER one after dinner the other night, I realized I needed I should have shared this bit of information with my fans a LONG TIME AGO. It was in 1948 that Marie Callender first baked pies for local restaurants. The baked from scratch warmth and goodness is enjoyed just as much now, as it was back them. What's even better is that if you don't live near one of her well known restaurants, you can now enjoy Marie's freshly baked pies at home with her frozen bake and serve pies, based on Marie's original recipes. The following is the product and ingredient list for our absolute favorite, Razzleberry Pie. 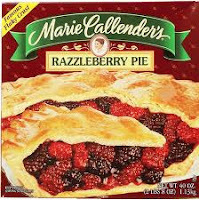 Marie Callendar's Razzleberry Pie, manufactured under license from Marie Callender Pie Shops, Inc., ConAgra Foods, Inc., P.O.Box 3768, Dept. MC, Omaha, NE. FILLING: BLACKBERRIES, SUGAR, WATER, RASPBERRIES, APPLES, MODIFIED CORN STARCH, CORN STARCH, SALT. 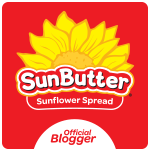 CRUST: ENRICHED WHEAT FLOUR (FLOUR, NIACIN, IRON, THIAMINE MONONITRATE, RIBOFLAVIN, FOLIC ACID), VEGETABLE SHORTENING (PARTIALLY HYDROGENATED SOYBEAN OIL), WATER, DEXTROSE, SALT. My husband and I recently visited Marie Callender's to enjoy a Sunday brunch. We were pleasantly surprised to find out their pie crusts were also dairy-free, egg-free and nut-free! 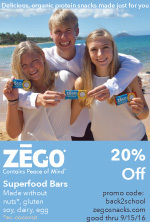 Check out your local Marie Callenders and maybe you'll find out the same great news. I would love to be able to enjoy some frozen pies with my kids. Sounds wonderful! I'll have to check the Marie Callendar website to see if the manufacturing facility is free of nuts and peanuts.